The RUTLAND NPT 4 Colour process ink set are made up of Transparent, intense primary colours designed especially for 4-color process printing. Ideally going through a 90T -120T screen mesh, these smooth flowing colours are finely balanced to give a true 4 colour process representation. This high performance, low-tack plastisol is designed for printing on to 100% cotton fabrics or alternatively, makes an excellent system for printing on poly/cotton blends when using a low-bleed underlay white. 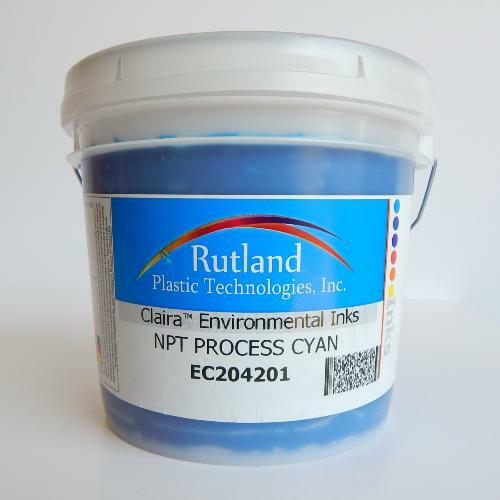 The Rutland NPT Procees range is a non-phthalate finished ink system. Use a white underlay when printing on dark fabrics for that extra "pop” in brightness. No build-up formulations ensure the highest print efficiency without down time for wiping screens.